The following is a list of 100 career resources for minorities in journalism and related fields. Here you’ll find links to associations and foundations, important research and articles, internships, honor programs, financial aid, conferences, job search sites, and Facebook pages. Hispanic Communicators Association – Seeks to explore and promote academic and career issues, by empowering the students in Hispanic journalism. National Association of Black Journalists – Provides quality programs and services to and advocates on behalf of black journalists worldwide. T. Howard Foundation – Promotes diversity in the multimedia and entertainment industry. Association for Education in Journalism and Mass Communication – Promotes the highest possible standards for journalism and mass communication education, to incorporate diversity. National Association of Hispanic Journalists – Dedicated to the recognition and professional advancement of Hispanics in the news industry. Asian American Journalists Association – Provides a means of support among Asian American journalists, and to advance them as news managers and media executives. Native American Journalists Association – Improves communication among Native people and between Native Americans and the general public. Unity: Journalists for Diversity – Advocates fair and accurate news coverage about people of color and LGBT issues. The Association of LGBT Journalists – Opposes all forms of workplace bias and provides professional development. South Asian Journalists Association – Provides a network for education, inspirations and training to upgrade South Asia coverage. American Society of News Editors – Advocates for diverse newsrooms in America’s communities. Women’s Media Center – Amplifies women’s voices, changing the conversation. National Association for Multi-Ethnicity in Communications – Advocates and empowers for ethnic diversity in the communications industry. Bay Area Black Journalists Association – Enhances the responsible news coverage of communities of color. Sports Journalism Institute – Helps women and minority journalists into newsroom. National Association of Broadcasters – Voice for the nation’s radio and television broadcasters. National Council of La Raza – An organization to improve opportunities for Hispanic Americans. Freedom Forum – Dedicated to free press, free speech, free spirit and newsroom diversity. New Voices – News and voices of campus jews. International Center for Journalists – Advancing quality journalism worldwide. Accrediting Council on Education in Journalism and Mass Communication – Dedicated to excellence and high standards in professional education in journalism and mass communications. Sinclair Broadcast Group – One of the largest and most diversified television groups. Chips Quinn Scholars – Gives opportunity, training and voice to young journalists of color. The Jon R. Tuttle Journalism and Production Minority Internship – Jon R. Tuttle’s internship encourages future generations of compassionate broadcasters and journalists. Chicago Sun-Times Minority Scholarship and Internship Program – Minority college students must have an interest in newspaper reporting, editing, graphics or photography. AAAS Minority Science Writers Internship – The American Association for the Advancement of Science offers a summer internship program for minority students interested in journalism as a career. CBS News Internship Program – Educational program for college students interested in pursuing a career in journalism. ABC News Internship – Students interested in pursuing a career in broadcast journalism. NBC Universal Careers – Students interested in a career with a broadcast journalism. National Public Radio – Students who work well on diverse teams and thrive with individual assignments. The Washington Post Student Internships – An internship opportunity for students interested in journalism. Boston Globe Newsroom Summer Internship – An opportunity for college students interested in journalism to gain practical experience on a major newspaper. The Seattle Times Company Newsroom Internship – An internship for students involved in journalism. MAIP Internship Program – The multicultural advertising program to jumpstart the career of diverse professionals. American Journalism Center – Internships that prepare you for the field of journalism. National Journalism Center – Internship for students interested in the field of politics and journalism. DC Internships – Internships for students in the D.C. area, interested in journalism. Google Internship – Students who are interested in interning with Google. NABJ Convention & Career Fair – National Association of Black Journalists’ conventions provides professional development sessions and celebrates excellence in journalism. Metcalf Institute for Marine & Environmental Reporting Fellowships – Provides traditionally under-represented racial and ethnic minority journalists with an opportunity to gain environment research and reporting skills. American Black Film Festival – Committed to broadening the mainstream embrace of Black culture. Journalism and Women Symposium – Supports the professional empowerment and personal growth of women in journalism. Politico – Provides a profitable future for tough, fair and fun coverage of politics and government. Allison E. Fisher Memorial Fund – Scholarship promotes awareness of breast cancer in young women by telling Allison’s story. Carole Simpson Scholarship – Scholarship encourages and helps minority students overcome hurdles along their career path. Larry Whiteside Scholarship – NABJ provides the scholarship to provide financial assistance to minority journalism students interested in sports journalism. Les Payne Founder’s Scholarship – NABJ provides the scholarship for minority journalism students interested in print journalism. NABJ Scholarship – NABJ provides the scholarship to a deserving minority student with demonstrated interest in pursuing a journalism career. Scholarships for journalists – Scholarships.com – Scholarships for students interested in journalism. Scholarships for journalists – Scholarshipexperts.com – Scholarships for students with a future career in journalism. RTDNA Scholarships – Radio Television Digital News Association provides scholarships for minority journalism students. The National Press Club’s Journalism Diversity Scholarship – The National Press Club provides scholarships for minority students interested in journalism. Hearst Journalism Awards Program – Provides support, encouragement, and assistance to journalism education and the college and university level. Kay Longscope Scholarship Award – Scholarship for LGBT journalists, shows the critical role diversity plays in the education of the next generation of newsroom leaders. LIN Media’s Broadcast and Digital Scholarship – Scholarship for minorities interested in journalism. The Jackie Robinson Foundation – Gives opportunities to people of color. New York Women in Communications – Scholarships for New York women who are interested in communications. Zimmerman Scholarship – Scholarship for a student interested in journalism. Feldman Fellowship – Scholarship for students interested in journalism. Journalism Jobs – Journalismjobs.com – Jobs for people interested working in journalism. Journalism Jobs – Journalismnext.com – Search portal of jobs for people interested in journalism. Journalism Careers – Careerbuilder.com – Career portal of journalism-related jobs. Journalism Jobs – Indeed.com – Jobs for people who are interested in journalism. Journalism Jobs – Monster.com – Jobs for people interested in a career in journalism. Equal Opportunity Publication – Jobs for minorities interested in a career in journalism. Journalism Jobs – HireDiversity.com – Jobs for minorities interested in journalism. Journalism Jobs – ImDiversity.com – Career portal for minorities interested in journalism. Journalism Internships – InternMatch.com – Portal for internships centered around journalism. Journalism Internships – Internships.com – Internship portal for students interested in journalism. Broadcast Media and Journalism Career Guide – Jobs for minorities interested in the field of journalism. CEI-Internships – Brings interns and industry together. Media Bistro – The pulse of media for jobs. Sunoasis Jobs – Jobs for people who are interested in writing. Work Place Diversity – Jobs for minorities interested in journalism. iHispano – Jobs for hispanic people interested in journalism. Riley Guide – Jobs for minorities interested in the field of journalism. Scripps – Jobs for minorities interested in journalism. Black Collegian – Jobs for minorities who are interested in journalism. INROADS – Develop and place talented underserved youth in business and industry, and prepare them for corporate and community leadership. UF Hispanic Communicator’s Association’s Facebook – A club for any student interested in mass communication and media. National Association of Hispanic Journalists’ Facebook – Dedicated to the recognition and professional advancement of Hispanics in the news industry. National Association of Black Journalists – Provides quality programs and services to advocate on behalf of black journalists. Asian American Journalists Association – Provide education and information to Asian students. National Lesbian & Gay Journalists Association – Fosters fair and accurate coverage of LGBT issues. Association for Women Journalists – Encourages discussion of issues important to women journalists. T. Howard Foundation – Provides internships in multimedia and entertainment to multi-ethnic minority college students. Native American Journalists Association – Improves communication among Native people. Unity Journalists – Advocates fair and accurate news coverage about people of color and LGBT issues. American Society of News Editors – Focuses on leadership development and journalism-related issues. National Association for Multi-ethnicity in Communications – To educate, advocate and empower for multi-ethnic diversity in the communications industry. National Council of La Raza – The largest national Hispanic civil rights and advocacy organization in the United States. 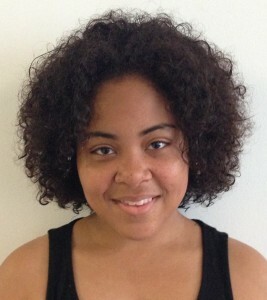 Nicole Curtis is a student at the University of Maryland College Park and an intern with BusinessResearchGuide.com. Nicole studies broadcast journalism and Spanish. She enjoys photography and social media, and has worked with WTOP Radio as a digital intern and the women’s basketball team at the University of Maryland as a video marketing intern. She is active on her campus as a reporter for the school newspaper The Diamondback and a member of the Maryland Association of Black Journalists.